Resorts World Genting is almost synonymous with its indoor and outdoor theme parks, which have attracted families for decades. If you’re less keen on rollercoasters, no worries, there’s definitely something for you at the Resorts, and they certainly don’t involve any G-force or safety belts. If you have ever wondered how the Resorts World Genting attractions are produced, this tour will provide you with interesting insights on the team’s operations- and you might even learn some secrets behind the attractions 😉 The tour consists of 4 main sections: (1) Genting International Showroom, (2) SnowWorld, (3) See, Do & Eat Workshop, (4) Horizon 50, with a knowledgeable guide introducing you to the behind-the-scenes work involved in developing each attraction. The first stop that we visited was the Genting International Showroom, a major venue for concerts and shows at Resorts World Genting. 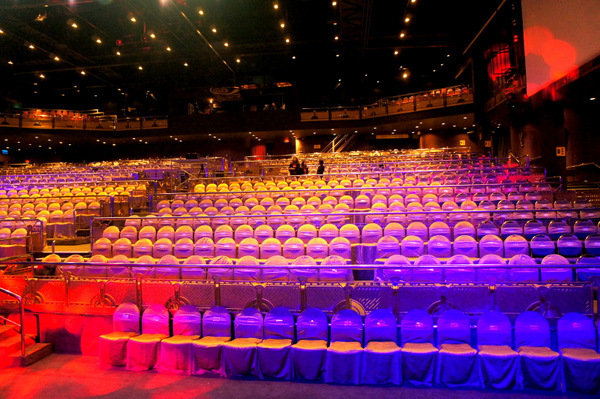 The Superstars of Magic 4 Show is also hosted in this venue. The massive venue has a remarkable 1000-pax seating capacity. The technical experts provided fascinating perspectives on the coordination of the back-stage, lighting and sound controls to create the desired effects for the show/event. For those without any technical experience on sound and lighting management, this part of the trip will definitely provide you with an illuminating experience on the complex intricacies behind every show. 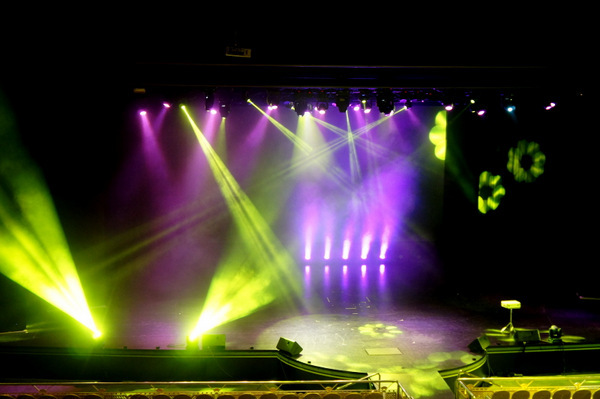 Various light effects that can be produced to cater to different show requirements. 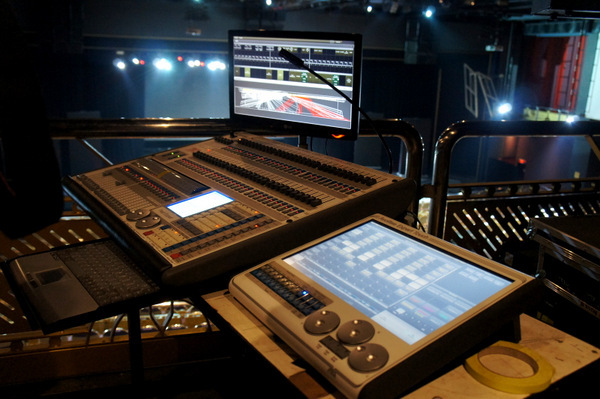 The powerful lighting board and equipment that create all that magic for you. 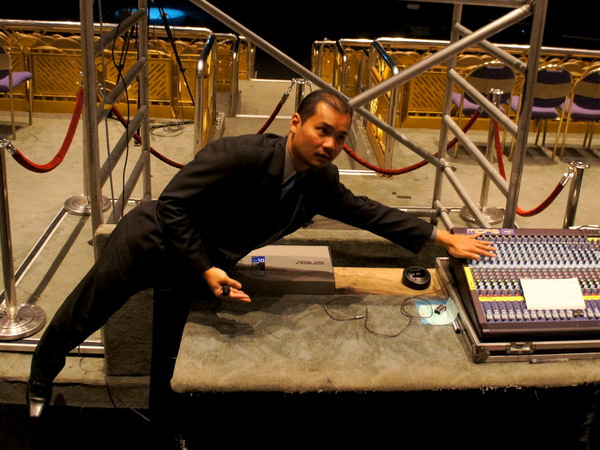 Our guide explaining how the monitor board is set up to engineer the best sound effects for the shows and he’ll stretch your mind (literally) on the technical concepts too. 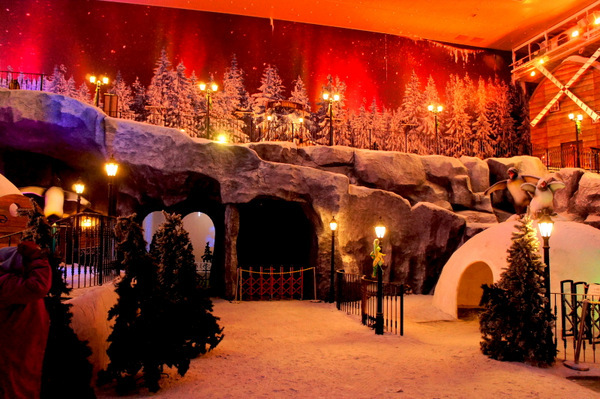 The SnowWorld section of the tour was added in May 2015, and will appeal to anyone who loves snow or winter, because you actually get to create your own snow. Yes, no kidding- and you get to bring it home too. 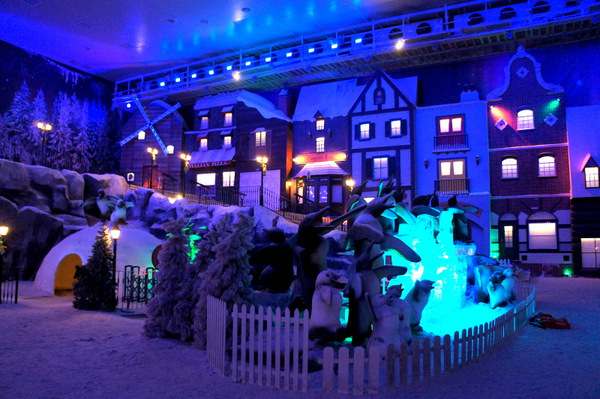 A magical snowy wonderland right in Genting. After a brief introduction on the physics of snow creation, we bundled up into SnowWorld jackets and boots and headed to the Lovers’ Cave in the snow chamber to mix our own snow. 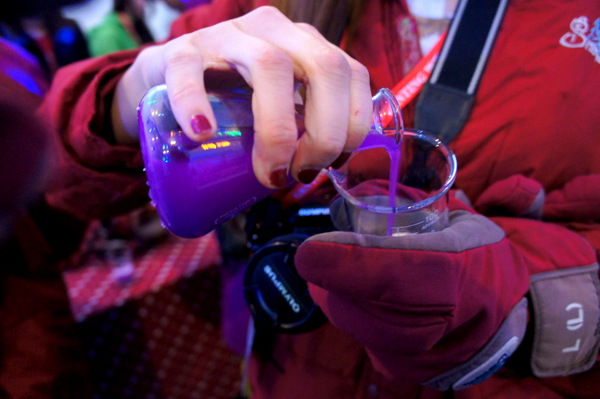 By mixing a flask of liquid into a measuring cylinder of liquid, tadah- you get your very own coloured snow! Honestly, we couldn’t really understand what liquid was used (not much of science people here), but the end-effect was really quite magical. And the best part is? You do actually get to keep your own coloured snow! 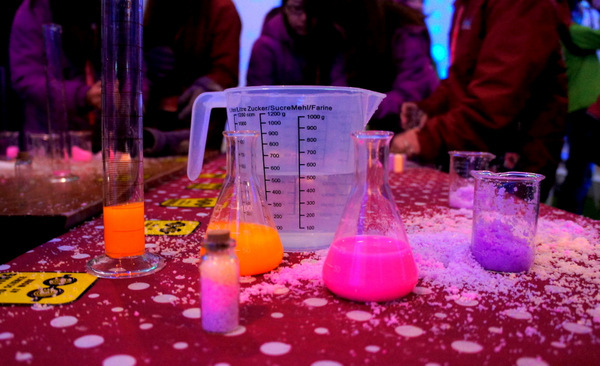 The Behind-the-Scenes Tour team provides you with tiny bottles to fill up with snow, and you can bring your rainbow snow jar home as a souvenir. If you’re a major foodie, Masterchef wannabe or just someone who likes to eat, you definitely don’t want to miss out on this part of the tour. 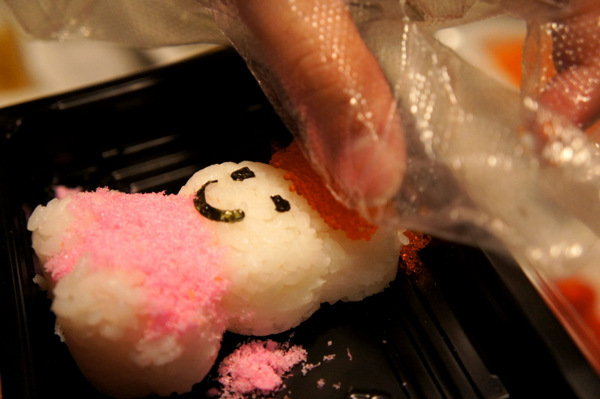 Under the guide of the chefs in Resorts World Genting, you will get the chance to create your own sushi bento set and decorate donuts- and eat them, of course. 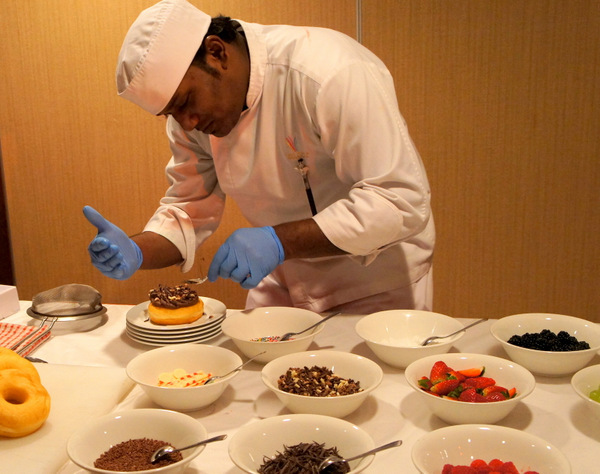 The chef’s donut creation, with chocolate cream, fresh strawberries, white, milk and dark chocolate bits with icing sugar to complete the look. 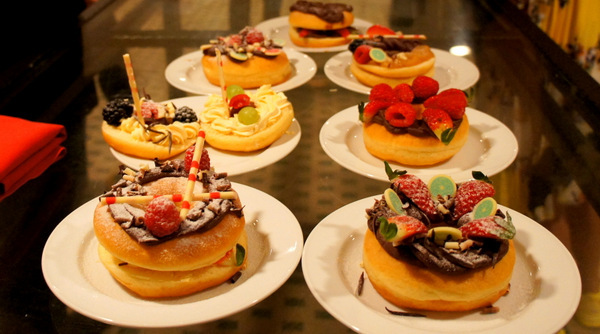 You can create your ideal donut with all the ingredients provided- blackberries, raspberries, grapes, chocolates- the chefs will even slice the donuts into half for you so that you can create a donut burger. 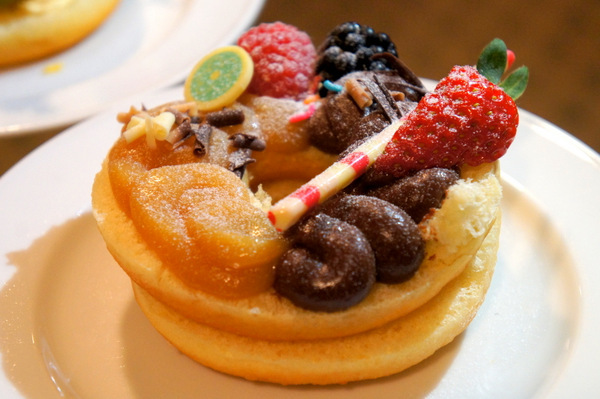 Some of the donut creations produced during the session. Our donut creation. Not too shabby we hope, but it was definitely delicious. Over at the sushi bento table, the tour participants were provided with moulds and cut-out stamps to create our own sushi animals. You can also add on ingredients like roe, crab sticks, tamago egg, cucumbers and cherry tomatoes to complete your sushi bento as well. 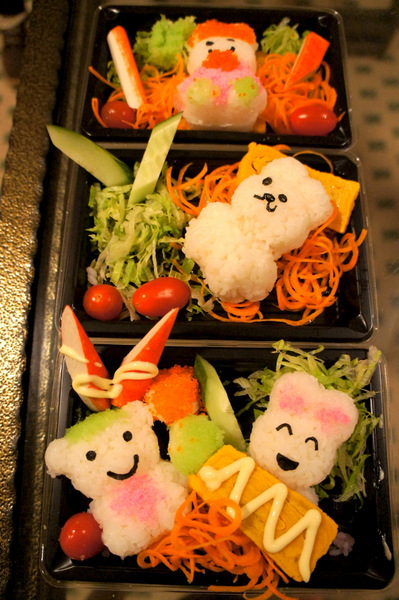 Some of the adorable sushi bento creations produced during the session. If you’re too full to finish both your donuts and sushi bentos, you can take them away and eat them later in the comfort of your room too. The final part of the tour is Horizon 50, an exclusive one-stop exhibition that originated from the Genting’s Integrated Tourism Plan’s aim to feature the past of Resorts World Genting and its upcoming new offerings. Using informative and interactive world-class technology, the exhibition provides visitors with insights on the growth and development of the Resort, which has expanded to more than 16,000 sq feet over time. You will also learn fun facts about the Resort. 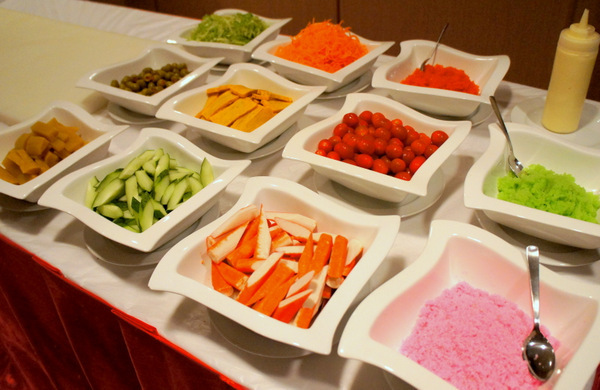 Our favourite one was: 3,000kg of chicken and 530 litres of milk are consumed daily in the Resort. During the tour, the team updated the participants on the exciting new features of Resorts World Genting. Of primary excitement will certainly be the launch of the world’s first 20th Century Fox Theme Park in 2016, boasting 25 rides and attractions based on popular movies like Ice Age, Night at the Museum and Aliens vs. Predators. Another exciting features in the Resort include the new cable car extension, opening of the new premium mall (Sky Avenue Mall) and completion of the Tower 2A extension. Overall, the Behind-the-Scenes Tour is definitely a must-try for visitors who prefer to explore the off-beaten Genting holiday path and learn about the attractions’ operations from a first-hand perspective. 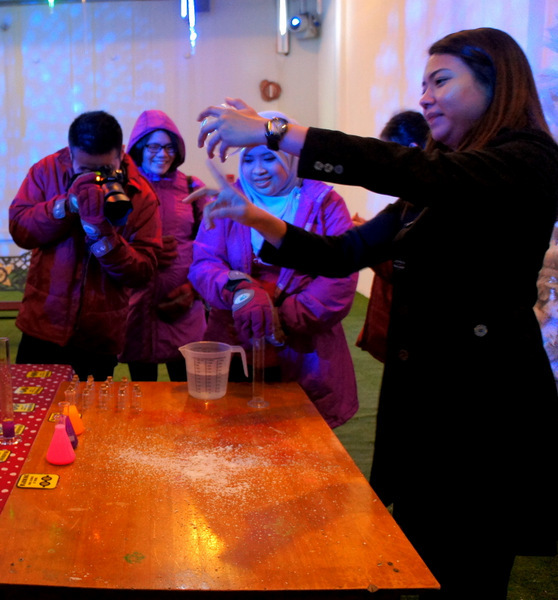 To participate in this unique hands-on experience and enjoy your very own home-made souvenirs, the tour package is only RM28 per person (RM25 for Genting Rewards Members). Do bear in mind that tours are only available on certain dates, so it’s a good idea to check out www.rwgenting.com for these dates. For further information, you can check out the Resorts website (www.rwgenting.com) or drop them a call at +603-2718-1118. The bento got serve at any restaurant? ?